Now that winter’s approaching, you’re probably missing those warm summer days, those crazy summer nights and those carefree summer outfits. If this sounds like you, then it’s time to get your creativity going and create something that will remind you of the warmth and joy of summer when the cold winter days hit. We’ll show you a quick and simple daisy-filled, DIY nail art tutorial to remind you of summer everyday (or until you decide to change your nail polish color). You always have to start off with a prepped canvass so make sure that your nails are ready — nail polish free, cut to your nails to your desired length, cuticles pushed back (optional) and etc. Apply two coats of the Orly Nail Lacquer in Melt Your Popsicle and then let it dry. Remember that you’re going to be drawing on your nails so make sure that they are completely dry. You’ll be creating small dots to form several daisies. These daisies should look like they’re forming a half triangle — less at the top, more at the bottom. This nail art is a reminder of summer so try not to arrange the flowers in straight lines. Be carefree! Starting with your big toes (both left and right), take your Nubar Nail Art Pen in White and begin painting on dots. The dots have to be in 5s and you can outline them similar to the points of a star. Alternative: If you don’t have nail art pens, all you have to do is dip your toothpick into the white nail polish and paint on the white dots. You can do the same thing when you paint on the yellow dots. You let your big toes dry for a bit. Once they are, go ahead and take your Nubar Nail Art Pen in Hot Yellow and paint on the discs of your daisies. 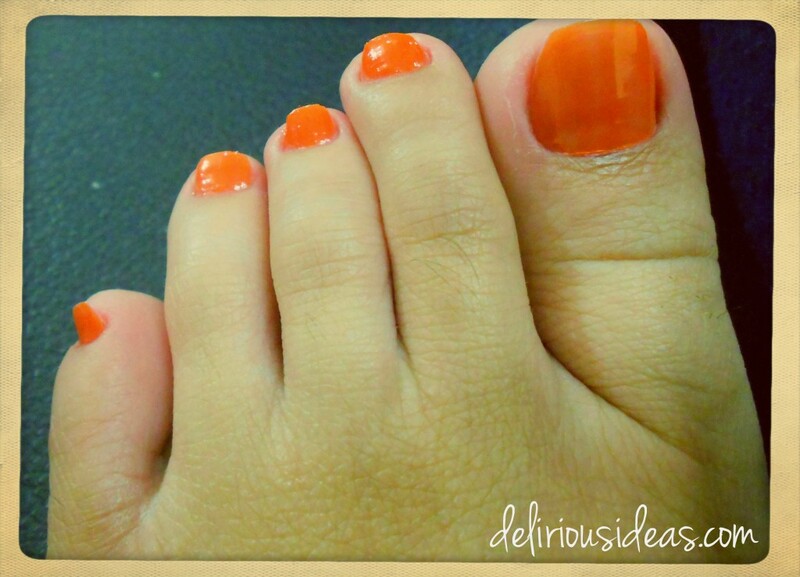 Begin painting on similar white dots on the rest of your toe nails (including the other side). The number of daisies will, of course, depend on how big (or small) your nails are so, again, be carefree about it. Once the white dots on the rest of your toes have dried up, you can go ahead and paint on the yellow discs for each daisy. Wait for everything to dry and then apply one coat of clear nail polish so your daisies will last longer. Take a q-tip (or cottonbud/toothpick), dip it in nail polish remover and then clean the areas where your nail polish went over. And, there you have it! A nice DIY daisy nail art design to put a smile on your face, reminding you that summer will come for you soon.